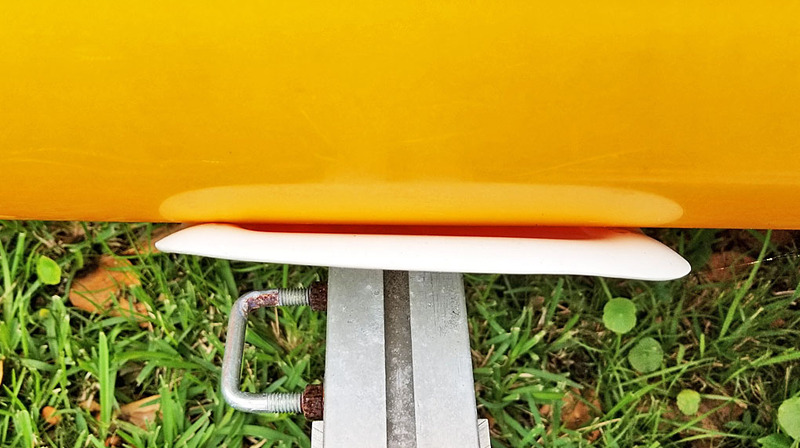 Hobie Forums • View topic - Is the bottom of your TI full of deep scratches? Is the bottom of your TI full of deep scratches? Post subject: Re: Is the bottom of your TI full of deep scratches? 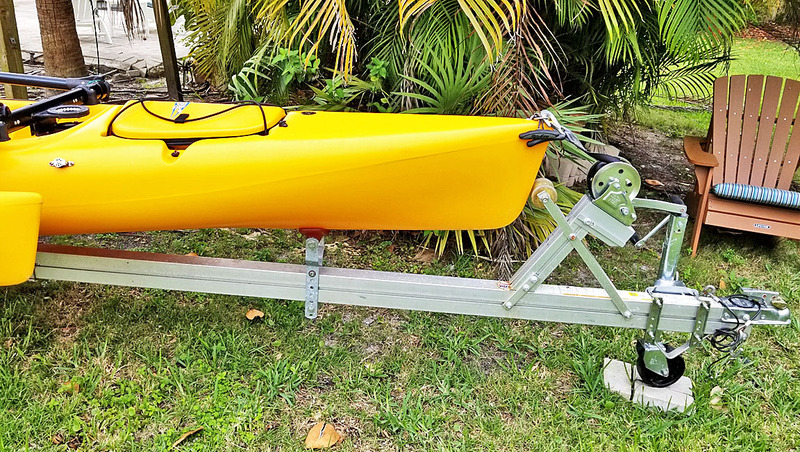 I should add that there are very many Islands which live happily on the standard cradles, as my TI has since 2012, so while I would have made bunks if I had known about them at the beginning, you don't need to rush to get away from cradles. Agreed Tony, I have no issues with the cradles at all. I just couldn’t afford them myself. For a guy who has more toys than a "Toys R Us", I find that claim incredible!!! Because of all the talk about PVC supports, I'm posting my Trailex trailer + cradles setup. Like Tony, I have no intention of changing. My 2014 tandem (purchased new 2015) has been on this trailer since its purchase. Not saying much given the current state of “Toys R Us”. They're still selling toys Anyway, I think you get the idea.